(58:06) In this episode Ron talks with Licensed Paramedic Sarah Francis McClure his paramedic clinical internship preceptor about the time they spent together. Tell us a little about you and how you became a paramedic. What are your memories of your own clinical internship? How do they effect how you interact with students? You have a lot of students on your truck, what’s the biggest mistake they make? What do they do right? What advice would you give them in general? What did you think when I asked you to be my preceptor? I’m your first right? What do think was the biggest problem I had starting out? What was the biggest change you saw in me? What do I still need to work on? What was the hardest part of being my preceptor? What did you learn from being my preceptor? Would you do it again? What would you do differently? 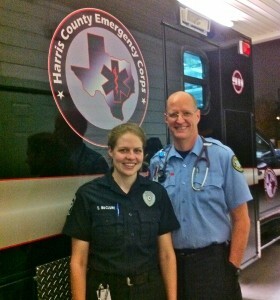 Get complete information on the The Confessions of an EMS Newbie Podcast. Subscribe or review on iTunes.